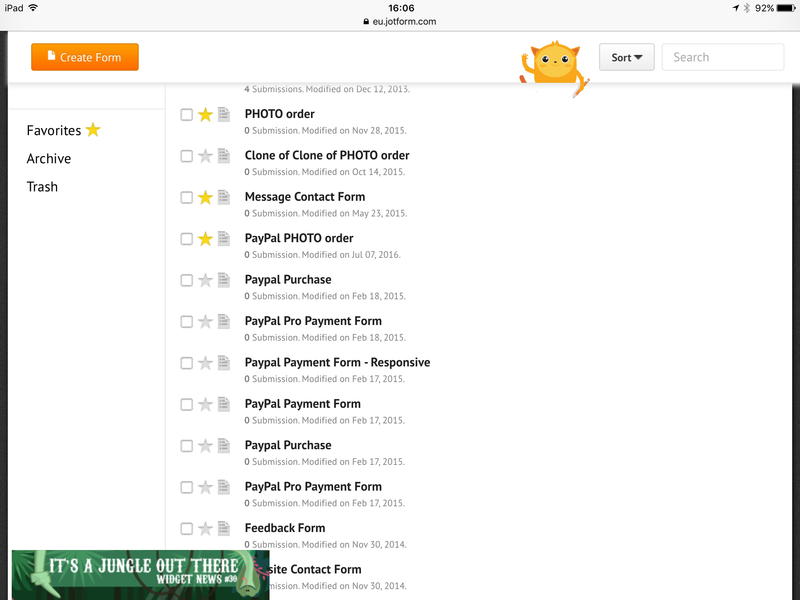 hi, my forms have gone mad today, it shows many forms some not even mine - i have only 4 forms - it shows mote every time i log on, whats up? I compared the forms listed on the screenshot you sent us and the ones inside your account under johnhercock and they match. If you are referring to a different form(s) altogether, we can locate the account you're referring to by giving us the link/URL of the form (at least one of those 4 you mentioned) that belongs to you. all the others were showing up all of a sudden - i might have looked at them but dont use them. I have checked your account and see that there are 17 forms in your account. 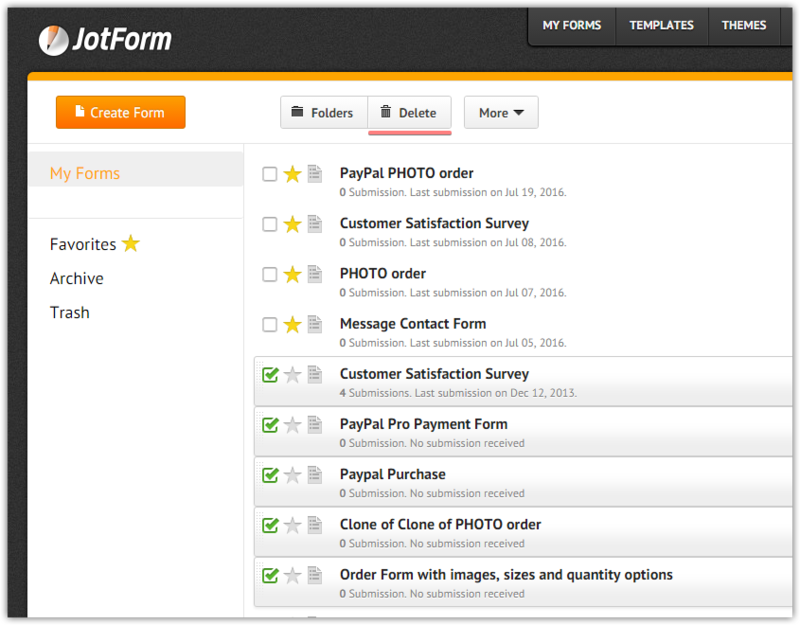 Generally, My Forms page shall be displayed when you login to your JotForm account. However, when you click on Favorites link those forms shall only be displayed. 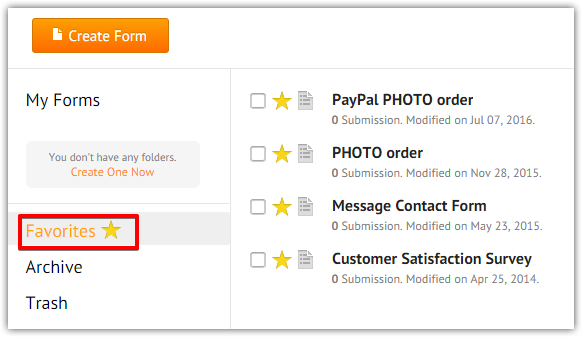 If you do not want them to display them after you login, you may create a folder and then move the other forms to it. Please refer to the guide below that can help you with this. Can i just delete the ones i dont want. The site is probably redirecting you to the 'all forms' section now instead of the 'favorites' one. Yes, if you do not use those old forms it is safe to delete them.